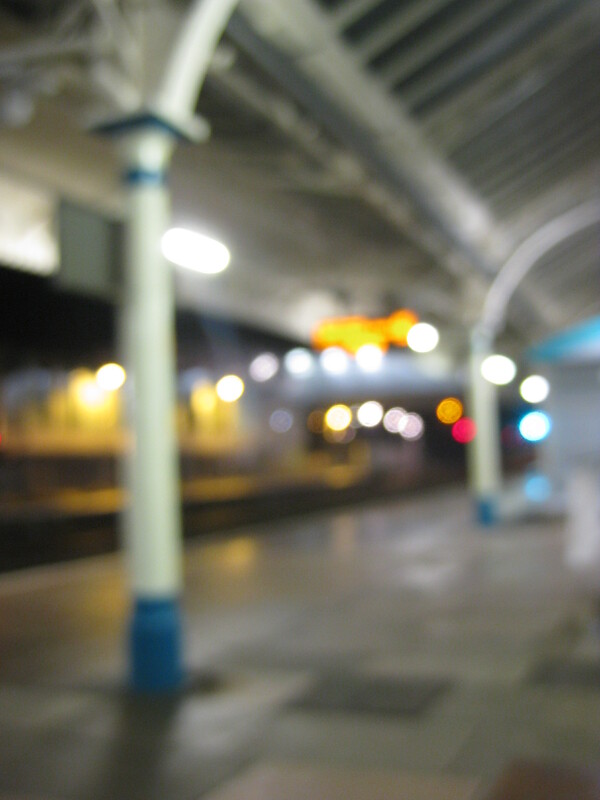 Heading home from a night in Newport, I took this photo while waiting for the train. I know it won’t be to everyone’s liking. I used my digital Macro to focus on my hand which I then moved away to get this photo! I think I like it because of the mixutes of lights/colours used in the train station.